1.What is motor bike c.c.? 2.How the priming is done in a centrifugal pumps? primed,that is filled with the liquid to be pumped. 3.What is the different between gate valve and globe valve? Gate valve is non regulator means full close or full open positions only, while globe valve is regulator. 4.What is the purpose of o-ring, wearings in the centrifugal pumps? 5.what is the difference between Mitsui MAN b&w and Hitachi MAN b&w engines? 6.How will we know, without opening anything,that an engine is 2S or 4S? bottom in modern diesel engine…whereas in four stoke the exhaust and inlet is situated at the cylinder head. 7.How the power has taken from a large marine generator to the msb? 8.What is the meaning of code number which is given on bearing? 9.In ship cranes, there is a provision of providing a conveyor for the cable. There is no provision of slip ring.How is it possible? clutch. If there is no slip ring arrangement the crane cannot turn 360 degrees. 10.Which country level having below the means sea level? 11.What does 7L67GFCA stands forin a marine engine MITSUI B&W 7L67GFCA? 12.What is high temperature corrosion and what is center priming? 13.What is specific fuel consumption and how fuel calculate? consuption, such as volumetric method and flow method. but these methods can be taken only in lab. no possible do it on the sea. 14.How many types of ships? Ships are divided into various types depending on their nature of service. ships). Depending on their sizes they are again classified as handymax, panamax,suezmax, afromax, vlcc, ulcc, vloc, vlgc, etc. 4. Protection such as war ships, Navy submarines etc. 15.The place where happen iron losses? In transformer case Core occurs iron loss (Eddy Current & Hysteresis Loss) Or No Load Loss in Electric Transformer. 16.How many ports are there in India? 17. Why did you become interested in Marine Engineering? industrious are some words I like, which describe what I do. 18. Have you always wanted to be a Marine Engineer? or What made you become a marine engineer? but was lured away by the honesty of the sea and nature. 19. What do you like most about your job? or What is the best part of your job? the "rumble" shakes your very core; is very awe inspiring. Then to think, it's your responsibility! 20. What tasks does your specific job involve? 21. Are you given a variety of projects to work on so that the job does not become boring? or Is it fun and exciting? think it takes many year before you start getting bored, and that might be only if you are on the same ship, on the same run. 22. What kinds of challenges are you faced with while on the job? or What's the hardest thing you've had to do at your job? 23. What sort of risks do you deal with? always moving, even more so when you're doing work like commercial fishing, or replacing a ten ton buoy while at sea. 24. What physical condition must you be in? emergencies -such as firefighting on board. 25. 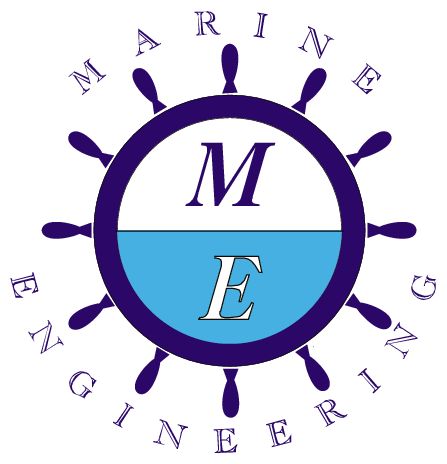 What does one need to do in order to succeed in Marine Engineering? Good questions, when you find out, please let me know. I think its a matter of living in harmony, with people, machines and the environment. can make, the better things go, the more respect you can command. 26. Is there an equal opportunity for women. Is it a popular career with women? 27. I heard its tough to move up through the ranks, is Marine Engineering a serious career consideration for young Canadian? Q11B - Did you experience any challenges in your career? Q11C - Would you recommend this career to any student? Q11D - Do you have any tips or advice on becoming a Marine Engineer? final year because "people" are more familiar with what a University or College is. that you would be happy with internationally; and locally you will not be taken seriously because you haven't been in the field for 20 years. Canada, and overseas. ...but it has taken me almost ten years ! meals, but you'll never go hungry being a Marine Engineer in any part of the globe. 32. How much time do you spend on ships? months on 2 months off, 2 weeks on 2 weeks off. 4 weeks on 4 week off is my favorite, but right now I work 6 weeks on 6 weeks off. 33. Do you travel a lot for your job? 34. Do you design new equipment for ships? improvements to machines designs or processes but these are usually minor in nature. 35. How long have you been a Marine Engineer? achieved my second license level in 2002. There are four license levels. 36. What do you do on a daily basis? or What exactly do you do? and together, we maintain the vessel with the aim of it always being available to perform its task. also have areas of responsibility in the engine room, where we spend an additional 3-4 hours maintaining "our" equipment. 37. Where do you do your work? and How long did it take to get to your current place in your career? CE on any ship, anywhere in the world. It took me about 9 years after my initial training to get to be in the position of CE. Mexico. It had taken me about 6 years to get to this current position of responsibility. of education do you need to get to your current place in your career? practical time at sea with various companies. Check out the Training Page for further info. 39. What was the best moment in your career? beers. So there is no answers to this question. As most everyday, something new and sometimes, exciting, happens. 40. Did you ever come across something you couldn't do in your career? preconceived notions of what should be and accountants. 41. What college degree do most marine engineers have ? will enhance the Officer's training to achieve a "land recognized" University Degree. Nowadays, new entrant in the field under the Cadet Program are granted a Bachelor of Science degree with the completion of the program. things more than seagoing experience. 42. What subjects in school would you need to excel at to become a marine engineer? particular Chemistry. Anyone considering any engineering path should feel comfortable challenging these subjects.